Getting into any new activity or hobby means you have to get through a learning curve. Whether it’s learning the basic skills necessary to do it or picking up the right gear and equipment, it may take a little bit to get through this period. Backpacking is a great activity because almost anyone can do it — from serious athletes to those who want to get some more exercise. You can enjoy the outdoors, get out of the house and learn a lot about the world around you. Like with any new activity, being a beginner is a little intimidating. That’s why DutchWare is here to make sure you have all the gear you need to get out on your very first backpacking trip! Be sure to pick up the following six items. This might be an obvious one, but you need a sturdy pack you can rely on through any conditions. You don’t carry a backpack — you wear it. So, it should have the proper fit for your body, gear and activity. When you’re starting out, you may stick to day trips for a little while. After a few day trips, though, you’ll probably want to take an overnight backpacking trip. For these excursions, you will need a shelter — such as a hammock or tent — and a sleeping bag or quilt. In case of inclement weather, you’ll need additional gear to waterproof your sleeping arrangements, like a tarp. When you’re out in the wilderness, you need some simple cookware to make healthy meals to keep you going. Camp kitchen gear like stoves, utensils, cooking pots and more are all important if you’ll be out for more than a day. In addition to your personal items, you’ll need to bring some other smaller items with you. 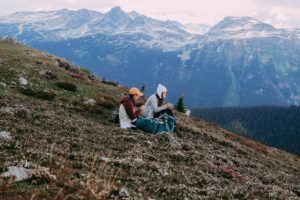 A medical kit and other emergency supplies, a headlamp or other types of lights, food and a survival knife are some of the necessities for backpacking trips. Even if you bring along all the right equipment, it won’t matter if you aren’t wearing the right gear. When you’re out on your backpacking trip, whether it’s just for one day or several, you need to be prepared for anything. Wearing layers, sleeves and long pants will help protect you from insects, foliage, rain and other elements. There is no such thing as bad weather — only bad clothes. A good pair of hiking shoes, such as trail runners or boots, is also essential. You’ll be on your feet for a long time, so you need a pair of quality hiking shoes to support them. At DutchWare, we carry a variety of top-quality gear to get you outside and help you have a great experience. 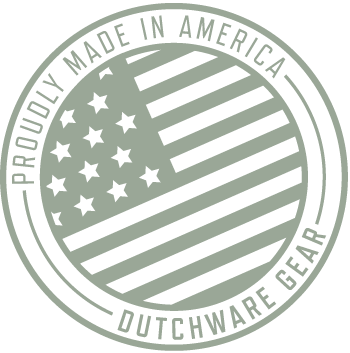 From basic equipment like the types above to our specialized, customizable gear, DutchWare has everything you need for your next trip, no matter your skill level.